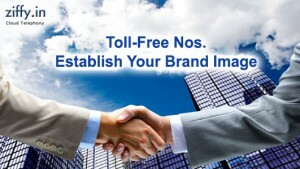 How Toll-free Numbers Build Your Corporate Identity? Do you think that making your customers call you free is the only advantage you can reap from toll-free numbers? If yes, then you are mistaken. Toll free numbers help in establishing your brand image in a big way. If you wonder how? Read on…. Heard of television jingles saying 1-800 and then a few words which can establish the identity of your company? The toll-free numbers have their aura and therefore the numbers of companies using these numbers are inclining constantly. Some companies incorporate the number into the name of their company to become popular. This helps the customers to remember their contact information. Normally, these numbers start with an area code. Such is the vanity of the much sought after toll free numbers that the companies are ready to grab it from their owners. Do you have a toll-free number for your business? If not, grab it from a leading wireless company that you can rely on for the instant activation and for the best possible customer care service.